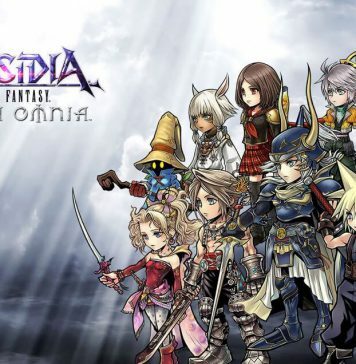 Note: The links for DFFOO – Skill effects database or DFFOO – Passives database or DFFOO – General database that is frequently brought up in this faq, is on the bottom of this post. 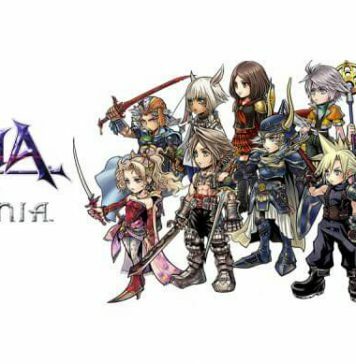 Please make sure to bookmark, save, or do something about these links when playing Dissidia Final Fantasy: Opera Omnia. Because you will need to use them a lot for reference. Q. Hi I started and I have no idea what to do! I’m overwhelmed! Q. What’s a Launcher/chaser? What’s a debuffer? What’s a battery? Q. What is rerolling? Who should I reroll for? What about the current and/or future meta? Q. Is X OP? Should I roll for X? Q. What is a crystal level//why can’t I use my 2nd skill//why can’t I level past 51? Q. Where do I farm Tier 4 crystals? Q. Where do I get Weapon/Armor Tokens? Q. Can EX/70cp weapons break characters? Are they OP? Can I miss a 15/35/EX weapon/passive and still be ok? Q. What summon is best and why? Q. How do I level up summons? Q. How do I increase my stamina? How can I use rank to efficiently farm WoI? Q. How do I level up gear? Q. How do I limit break (LB) weapons/armor? Q. What does MLB mean? How do I MLB? Can I sell my weapon and still get the passive? Q. Where do I find Power Stones? Q. What are artifacts? Are they important? Where/How do I farm for artifacts? Q. What artifact passive is best for X? Q. When does X event end? When does Y event start? Q. I’m having a hard time clearing this difficult mission (EX, Lost Chapter Lv90/Lv100, Lv120). What should I do? Should I pull? A. The best thing to do here is to explore the first chapter and read through the tutorials that circumvent concurrent problems and unasked questions. Check DFFOO General database for existing events and try to ask around about that event if you are brand new. Read bellow to get an idea of what is to come. A. A chaser/launcher is someone who launches/initiates a chase sequence/knockbacks an enemy followed by two available characters in turn order. This is covered specifically in the starter’s tutorial. Launchers include: Layle, Fang, Cecil, and Noctis. A debuffer is someone who inflicts status ailments to hamper bosses with varying disorienting effects. 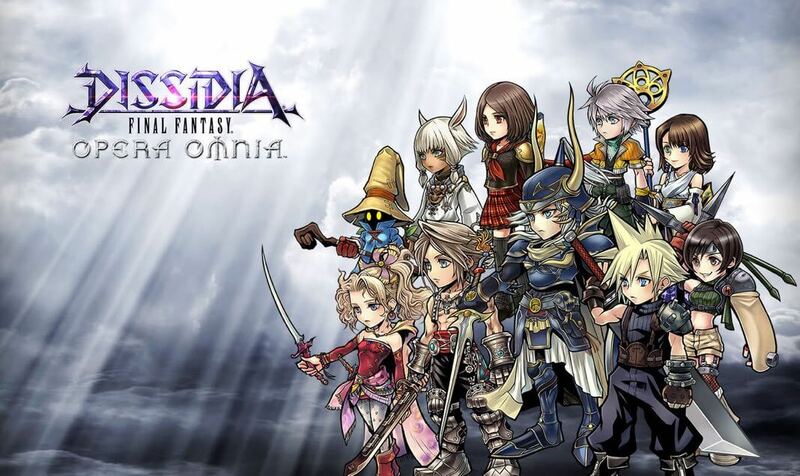 These characters include: Vanille, Laguna, Tidus, Faris, Thancred, and many more. A battery is a type of support (or damage dealer) who gives noticeable amounts of brave to party member(s). A. Rerolling is when one restarts the game in order to get the best possible results out of Gatcha/Banners or RNG Slot Machine. Gatchas/Banners will be the main source of getting items from tickets and gems, and these resources are limited. While GL is currently focused on a DPS-centric dynamic, future content will start to revolve around having the right composition of party members (comp) to clear the event. In short, you should roll for who you want, and bonus points if you have 2 or more characters are featured in a banner that you like. An example of this is Locke’s EX event has a high defense boss at the end of the fight, so walking in with a battery, launcher and defense debuffer work well with this fight. Walking in with support and dps that cannot buff attack can be detrimental. In terms of comp diversity, you should consider having a physical and magical attacker, a debuffer, a buffer, a battery, and a launcher. 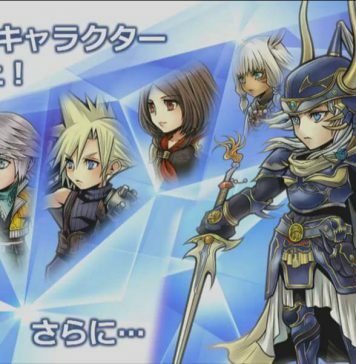 Some characters are hybrids like Ramza’s Triple Break that debuffs and batteries, or Fang who launches and debuffs, and other people. The only character I can wholeheartedly recommend no matter what is Layle who can launch/battery/debuff/turndelay. Now, rerolling comes at the cost of time, and it should take apx 15 minutes or more to go from start to end to chapter 1. What should you reroll for? Specific characters that you want! You should try to get 1+ copies of a 15cp and 1 copy of their 35cp. If you want other characters you should try to grab both copies too. Gatcha is RNG, so you can either get extremely lucky or not, so you should keep this in mind within this process, and how many times you want to min-max rerolling for your needs. Keep in mind gems are limited and it is good to utilize them in this way. If you are unsure of how a character functions, please look at DFFOO – Skill effect databases or DFFOO – Passives database or DFFOO – General database. A. Maybe, but they won’t work everywhere. Again, consider comps where characters strengths and weaknesses overlap to make a good party against a specific quest. Do not roll for a character because someone told you they were good. Check DFFOO – Skill effects database or DFFOO – Passives database or DFFOO – General database to see what the character can do, and ask good questions about their functionality and what makes them good. Always take what people say with a grain of salt, and do not take their word for it. Question everything. If you want to roll for X, look at raw gameplay footage of that character, so you can see whether you would like the character or not. Ask questions on what that character does, and see if you’re interested in it. If your character is waifu/husbando tier, then roll. You should always roll for who you want. A. Crystals gives your character the stats/passives/skills they need in order to function with 50 being the cap in GL and 60 in JP. With a Crystal Level of 51, one is able to reach the base level cap of 60. You can farm these in cycle quests with a specific quest featuring a different color crystal per day. A. Currently, in JP, Tier 4 Crystals are limited, and given out in promotional events, Lost Chapter Hard Mode carries (with the featured character), and Co-Op events. You need 275 t4 crystals to fully awaken as well as an additional bundle of T1~3 crystals. A. Armor tokens are commonly found in co-op events and lost chapters. Weapon Tokens are much more rare. They are an 8th day weekly reward granting 3 weapon tokens along with 10 for completing chapter 1, and 15 for completing interlude (chapter 12). A. Powercreep is a thing in gatcha games, and while some EXs can be mediocre, others grant a character a massive tool for their kit that can make or break a character as much as missing a 15 and 35cp passive. An example of this is Locke’s 15cp which grants his main kit (from Sneak Slash) high potency. Only having his EX will miss the entire point of Locke’s kit in a tl;dr sense. 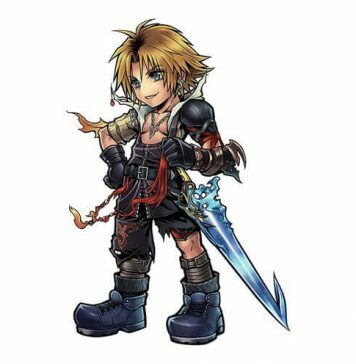 Check DFFOO – Skill effects database or DFFOO – Passives database or DFFOO – General database for potency on skills and judge if you can skip a weapon. Ask people questions based on your research if you are still unsure, but I highly recommend going for weapon passives as you will be missing an essential part of their kit one way or the other. 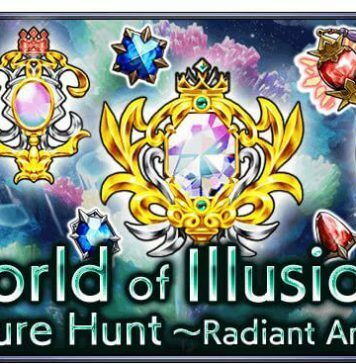 However, there is one exception that I would like to bring up, and those are World of Illusion quests granted from WoI summon/esper events. These weapons are a second or alt 15cp that does not modify a specific skill of that character. While some have nice party effects, they can ultimately be passed as it can be a burden on CP. Take complete digression of my words, and look at the weapon passive closely, and consider yourself using it with a certain comp. A. You summon them at the respective World of Illusion (WoI) e.g. Ifrit WoI. Part 3 of the respective WoI will grant “lesser”/lower-tier materials generally for level 1 – 11, and Pt6 will drop materials for level 5 – 20. A. Synergy, from an event/lost chapter, boosts the base stats of the featured character and featured character’s weapons by 50%. This applies to everyone in WoI. You increase stamina by leveling any character(s) up 10 times. You gain 100 gems for each 10 levels, and 1 level of stamina per rank at a maximum of 200 stamina. Each rank up will refresh your initial stamina to your new max stamina. Thus, you can utilize every 10 ranks for a refresher in stamina to farm nodes. A. You level up gear by gathering orbs from WoI orb springs, or you could farm 2* weapons from Hope’s Dojo normal mode (his only combat event in chapter 1) and enchant them with 2* orbs for fodder. Co-Op events also gift a fair amount of Lv3 and Lv4 orbs, and future co-op events will eventually feature tokens which can be traded in for Lv4 orbs! A. Weapons can be LB’d by either enchanting the item in question with a duplicate of that item, or by using four Power Stones in the enchanting menu. Armors can only LB’d by duplicates only. Power Stones cannot be made or used for armor. A. MLB stands for maximum limit break which is your weapon/armor at its highest potential. You do this by limit breaking the item three times. Thereafter, you enchant the weapon to the maximum level (Level 35 for 5* and level 30 for 4*). Upon becoming max level the item goes up in rarity gaining one star (4* to 5*, 5* to 6*), and you will gain the passive for that piece of equipment via the character equipment scene. A. 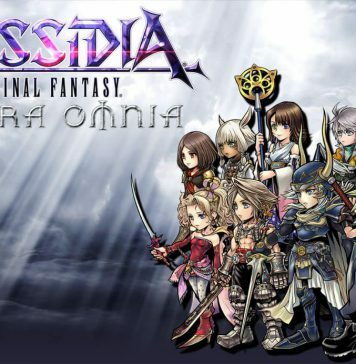 Power Stones are obtained from the Dissidia Point Store which resets every week and cost 900 Dissidia Points, or from selling 5* weapons that are 15/35/70CP or higher. This excludes 4* weapons that are MLB’d. Armor does not produce power Stones. A. Generally you should refer to DFFOO – Skill effects database or DFFOO – Passives database or DFFOO – General database for information on the character’s passive, and how it affects their toolkit and gameplay. If you are unsure of what to do at this point, you should ask questions based on what you know on passives and what would suit the character while letting the “answerer” know that you have an idea of what the character does. People like answering questions to people trying to learn rather than answering a question without context. A. https://dissidiadb.com/events/ will tell you. If an event is not listed, please check news before asking. A. When the game throws hard content at you, it’s hard to figure out what to do. The several difficulties might be power creep, difficulty in micromanaging skills, or gear/level disparity, and there are several solutions to this without a right answer. You can ask for help. I remember one time where I was completely stumped on Fang EX, and I had no idea how to clear it. I just posted wipe photos with the question, “How”? At the same time, I [might have] prepared questions that let others knew that I was trying to learn from the fight, but I was missing something crucial and could not figure what. Always try to show that you’re willing to learn from what you ask others and show that you understand the fight to some degree, and people will be glad to help you map out what you may or may not do. You can roll on the banner for synergy characters, but you should not do this unless you like the characters and have enough gems and tickets to use. I highly do not recommend this option unless you like the character in question or you have a great amount of resources. You can wait for new content while trying to slowly get that clear; Lost Chapters will always be there even if the promotional missions will not. If it is an EX event of a biweekly character, it can be skipped at the cost of 500+ Gems/Tickets, but it can happen, don’t fret! Just don’t make yourself upset at the situation and try to have fun with the game! That is your primary objective on playing this awesome game!